Andrew Sarris is the king of American movie criticism. That's a bold statement, especially to the exclusion of James Agee, Manny Farber, Pauline Kael, Gene Siskel and Roger Ebert. But Sarris has done more to log the history of movies and find a cohesive shape to them. He also has the greatest longevity. As of this writing he has been covering the "dream beat" for 41 years. He has a distinct French sensibility, and his most important and influential book, The American Cinema, published in 1967, comes from the French auteur theory. That book ranked all American directors from the early silents to 1967. Although it was not the final word on this very subjective subject, it got people thinking about the role of the director. Rather than put acclaimed Oscar-winners like William Wyler, John Huston, Billy Wilder, or Elia Kazan in his Pantheon, he chose artists with a more personal vision like John Ford, Howard Hawks, Max Ophuls, and Buster Keaton. He writes brief essays about each director, summing up their career as a whole. Confessions of a Cultist is Sarris' first collection of weekly film criticism, covering the years 1956 to 1969. 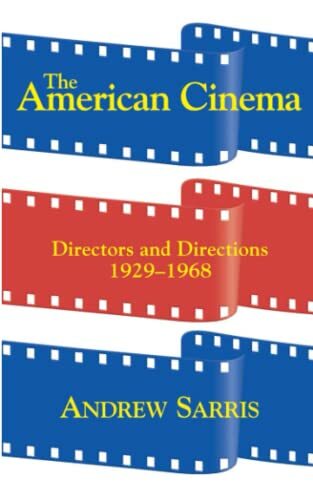 This book is even richer than The American Cinema, as Sarris writes longer essays on more narrow subjects. His long essays on Contempt, Belle de Jour, and re-releases of Chaplin's films, are stellar. The book also allows Sarris to express his love for French movies. 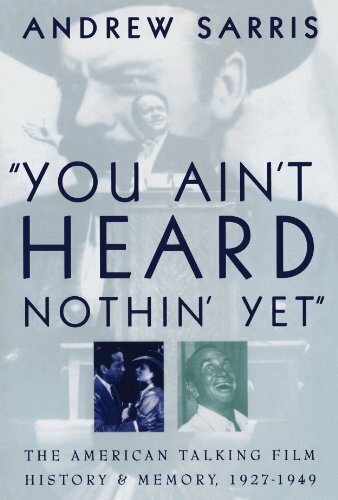 Finally, You Ain't Heard Nothin' Yet is a 1998 history book that covers a whole swath of American cinema, specifically from 1927 to 1949. It has chapters on directors, stars, genres, studios, and "guilty pleasures." The young and full-of-beans Sarris is long gone, but this one is much more reflective and patient. All three books are must-owns for any serious movie fan.